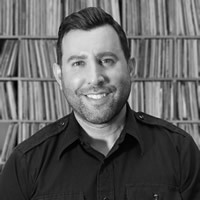 As Global Director of Music & Artist Relations for Hard Rock International, Ken Blaustein is responsible for evolving the brand's global music presence through new and impactful initiatives that connect with the next generation of music fans globally, while maintaining the brand's iconic music legacy. As part of this role, Blaustein oversees all music content, programming, environmental experience, artist partnerships, industry relations, technology and data integrations for the brand. Before joining Hard Rock, Blaustein was based in Los Angeles and spent time as Director of A&R for Capitol Music Group, as well as Warner Bros., where he helped guide the careers of breakthrough artists My Chemical Romance, Avenged Sevenfold, Mastodon, 30 Seconds to Mars, and The Used, among others.